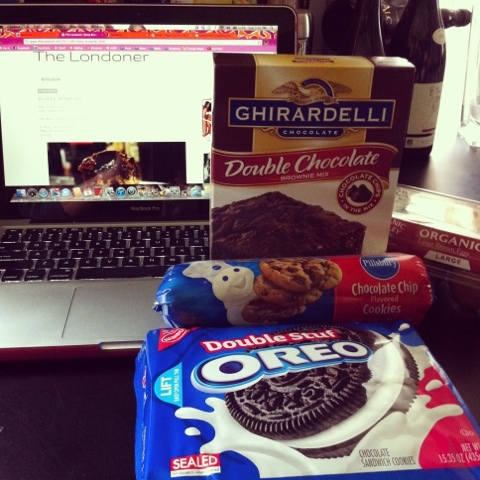 If you are on Pinterest, you've ogled The Londoner's Slutty Brownie recipe. What makes a brownie slutty, you ponder? Well, these are cheap, easy and a sure thing. 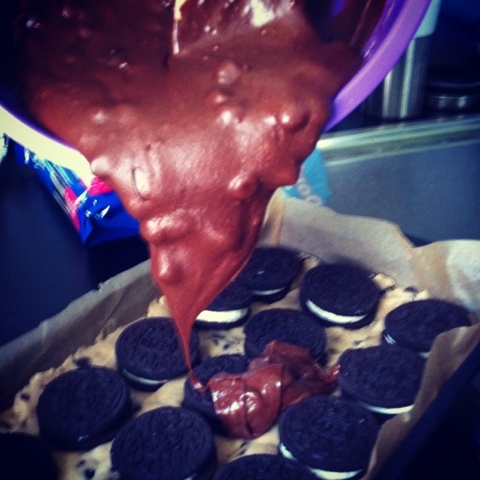 Basically, you layer chocolate chip cookie dough, Oreos (I went for Double Stuff) and brownie dough (I chose Ghiradelli so mine are more of call girl brownies). You can get fancy and homemade, but these are slutty people... It's ok to not be all foodie and local sourcey on this one. I topped mine with sea salt and had to bake at 350 for 40 minutes, but those were the only tweaks I made. 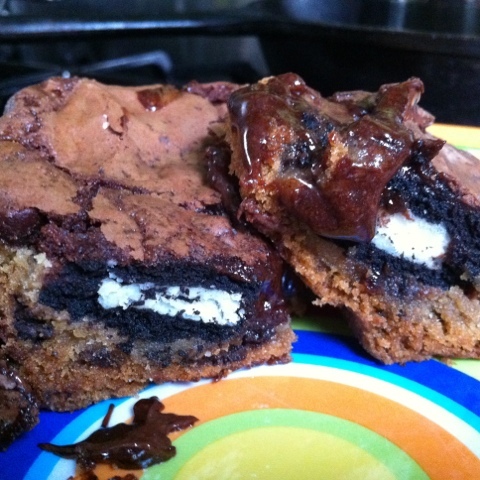 As my friend Elizabeth said, Slutty Brownies are the turducken of desserts. I'll have to make them next time but I did make your pizza dip!! Thanks for all the good food suggestions. Hmmm... how did they taste? IDK, like crack rock mixed with unicorns and sequins? ;) @HeyKiddo, love that dang pizza dip too! It's amazing I don't weigh 300 lbs. Air Cleaner are very important for people who suffer from allergies, asthma, chemical sensitivity, and other respiratory illnesses and it control dangerous viruses, bacteria, and mold spores.